MGL Radio delegation (Chairman & CEO Jargal M, the second from left) and KBS Radio representatives pose at the KBS Open Radio Studios. MGL Radio visitors observe a live production of KBS Radio. 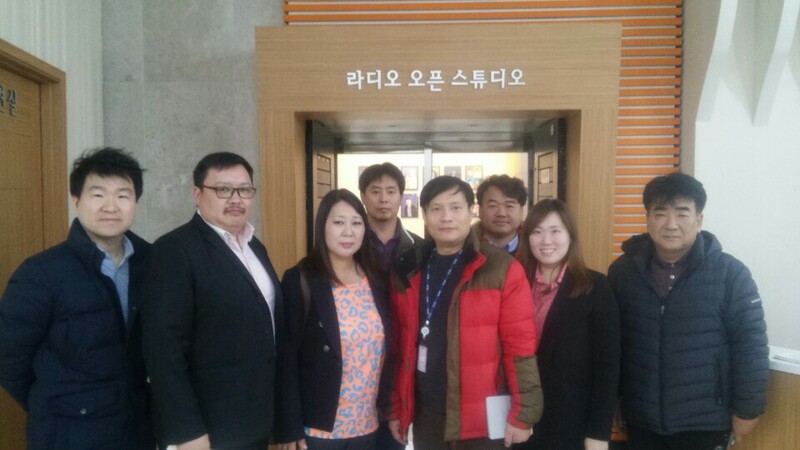 A Mongolian radio delegation visited the Yeouido Headquarters of KBS on February 19, 2018 with an aim to benchmark radio operations of the leading public service broadcaster in Korea. MGL RADIO Chairman and CEO Jargal M. and Director Surenlkham M. met with representatives from KBS Radio and were offered a briefing on the overall operations of KBS’ radio stations. The Mongolian radio delegation expressed particular interest in audio archive server system and a range of broadcast equipment and systems used by KBS radio professionals for production, transmission and monitoring. 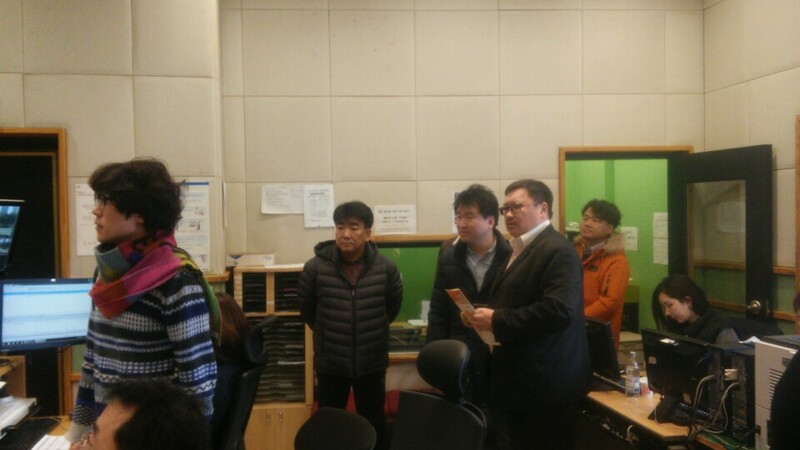 As part of the visit to KBS, the executives from MGL RADIO had a chance to observe live production of KBS’ major radio channels, FM2 and Radio2. KBS has a total of seven radio channels, Radio1, Radio2(Happy FM), FM1(Classic FM), FM2(Cool FM), Radio3(Voice of Love), Global Korean Network and KBS World Radio.